Designed in 1957, the GE34 armchair and sofa series demonstrates Wegner’s forward thinking in the design of comfortable seating for commercial and public spaces. This practical design is as contempory today as when it was first designed almost sixty years ago.. 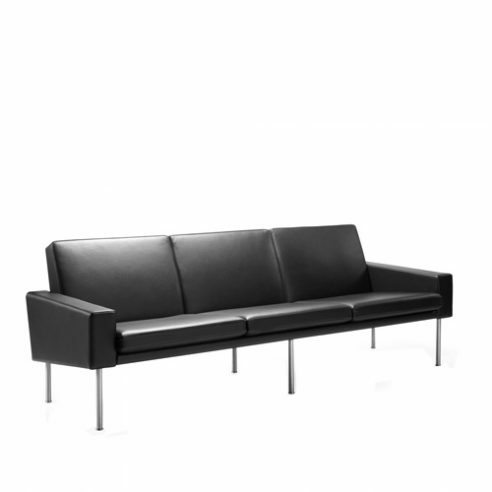 Produced by Getama with fixed upholstery the GE34-3 three seat sofa is ideally upholstered in leather and maintains its shape and a fresh appearance over time.